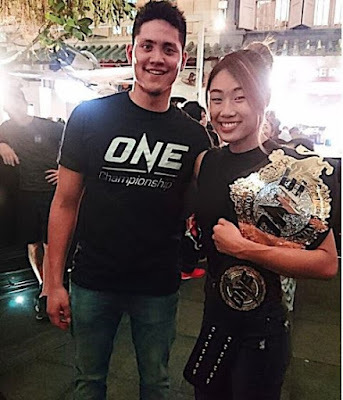 ONE Championship™ (ONE), has just announced that it has appointed Joseph Schooling as exclusive Ambassador of ONE Championship, supporting his favorite ONE Championship athletes on social media or in person when his schedule permits. Lucky fans may also get the chance to see Joseph in person. Partnering with ONE Championship represents exciting times. I have always identified with the values of ONE Championship, and I think that is an important factor to any partnership. I have always had a great time at their events, so as Ambassador of ONE Championship, I am looking forward to sharing the positive values of ONE Championship to everyone. Joseph Schooling is a 22-year-old world champion swimmer, born and raised in Singapore and is a third-generation Singaporean. In 2016, Schooling became an Olympic gold medalist, defeating the legendary American swimmer Michael Phelps and setting a world record for the 100m butterfly event at the Olympic Games in Rio de Janeiro, Brazil. He is currently a final year student at the University of Texas at Austin and is a prominent member of the Texas Longhorns swimming team. ONE Championship, with its headquarters situated in Singapore, has established very strong roots in the country over the years since its inception in 2011. In 2017, the promotion announced a partnership with Singapore-based multimedia conglomerate Mediacorp, an agreement that grants the broadcasting company access to all ONE Championship content, including its LIVE events. Just recently, ONE Championship has also announced a strategic partnership with Singtel, one of the largest mobile network operators in Asia with over 640 million subscribers. The partnership aims to leverage ONE Championship and Singtel’s capabilities to collaborate in the area of martial arts-related content, digital assets and services, events and telecommunication services. The announcement of Schooling’s appointment as Ambassador of ONE Championship comes ahead of the blockbuster event ONE: UNSTOPPABLE DREAMS, which takes place at the Singapore Indoor Stadium on 18 May. The card features an unprecedented three world title contests. In the main event, reigning ONE Women’s Atomweight World Champion “Unstoppable” Angela Lee of Singapore defends her title against Japanese veteran Mei “V.V” Yamaguchi. In the ONE Super Series co-main event, Muay Thai legend Sam-A Gaiyanghadao of Evolve MMA in Singapore is set to face Sergio “The Samurai” Wielzen of the Netherlands for the inaugural ONE Super Series Flyweight Muay Thai World Championship. And in the second co-main event, reigning ONE Featherweight & Lightweight World Champion Martin “The Situ-Asian” Nguyen of Australia is set to defend his featherweight title against top contender Christian “The Warrior” Lee of Singapore.